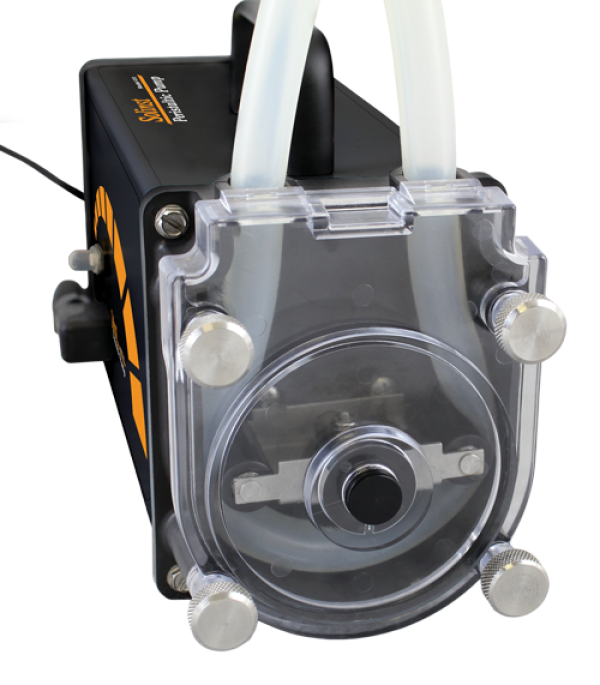 Designed for field use, the reversible flow Peristaltic Pump from Solinst is ideal for vapor sampling or water sampling from shallow wells and surface water. It can be used for vacuum pumping and for pressure delivery of liquids or gases. The mechanical peristaltic operation uses rotating rollers to depress the silicone tubing, creating a vacuum, which displaces any fluid or gas in the chosen direction. It is effective to depths up to the suction lift limit, which varies with elevation, and can be as much as 33 ft. or 10 m at sea level.